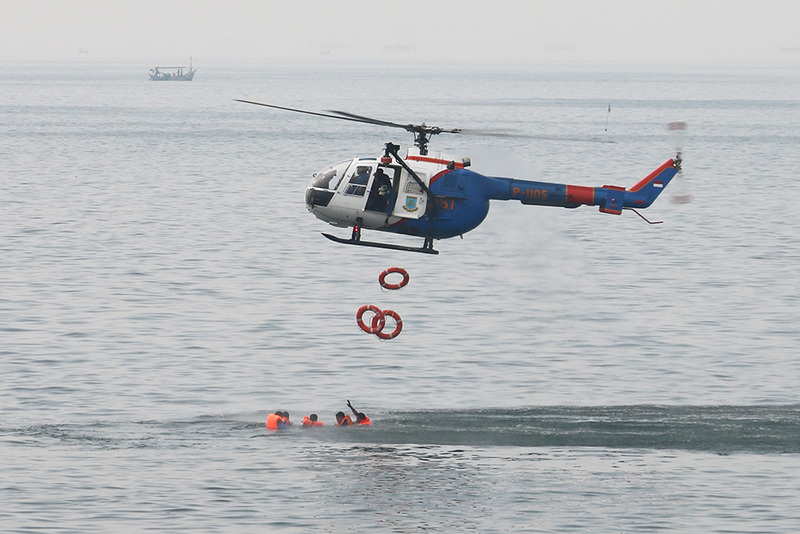 Jakarta – IOM, the UN Migration Agency, and the Indonesian Marine and Air Police Corps recently organized a training in Jakarta on search and rescue at sea and the handling of irregular maritime arrivals. The two-day event, which brought together 70 marine police directors, ship commanders and pilots from across the archipelago, included a field exercise at sea to simulate an operation to locate and rescue migrants, and provide first aid to the injured. Participants also took part in shore-based tactical floor games focused on the challenges associated with coordinating a sea rescue operation. “This training aims to increase the knowledge of ship commanders and marine police directors across Indonesia in the handling of migrants arriving by sea. 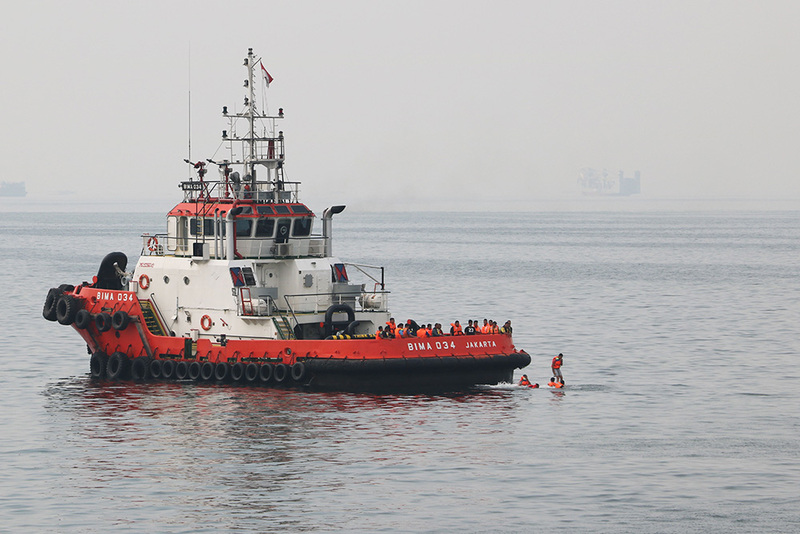 The participants, who are first responders, can now return to their respective regions fully prepared, should any irregular maritime arrivals occur in their jurisdiction,” said Head of the Marine and Air Police Corps Inspector General Chairul Noor Alamsyah. The training was held within the framework of Coordination and Outreach Migration Management Support through IOM Satellite Sites Project Phase II (COMMSAT2) funded by Australia’s Department of Home Affairs.